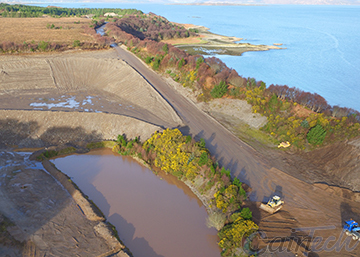 UAV Data Capture can be utilised within many areas of the construction industry. From promotional material to site progress photos, our UAVs can capture what you need, quickly, efficiently and safely. At Caintech, we tailor each job to our clients requirements. A Pre-site survey and risk assessment is carried out at the office prior to visiting the site. Upon arriving on site a site survey is then conducted referring back to our original Pre-site survey if needed and any changes noted. This allows us to make sure all flights to be made are safe and within our CAA approval. 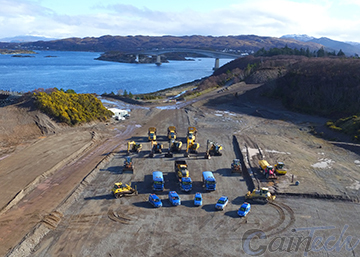 For a quick and easy overview of your sites progress, our UAVs can capture everything you need. Aerial images are a great way to see what is happening on your site, or to send to your client as part of a progress report. We can tailor this to your needs, whether you require vertical or oblique imagery of the whole site or want it concentrated on a certain area that you have been working on. Often done on a monthly basis, it can be a cost effective way to make sure you are on schedule. Aerial photography from our UAVs is a great way to get unique images for all your promotional and marketing needs. As aerial images offer a unique perspective it makes them really stand out. Tailored to your needs and with the ability to view the images on site mean you will always get the shot you want. Once back at the office we can add your company name and logo to the photos and supply them in a variety of formats. 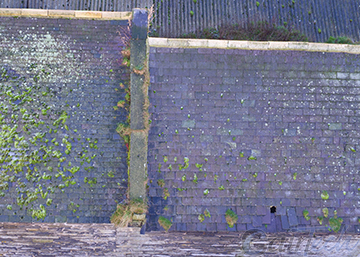 With the use of our UAV we can offer a quick, safe solution to capture imagery of hard to reach areas that need to be inspected. Having the ability to fly close to buildings, structures and into awkward areas, means we can provide high definition, detailed images of any areas of concern, where access towers, cherry pickers and scaffold may not be appropriate, cost effective and most importantly safe. The client or surveyor is able to see what the camera is looking at via a real time, high definition downlink to make sure no areas of concern are missed. 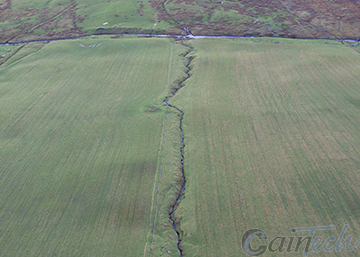 Having an aerial view of a site at the planning stage can be a very valuable tool. Areas that may be overlooked or missed on a site walk over are now a thing of the past. The ability to view the entire site from the comfort of your office and view any areas that may require additional planning can save you both time and money. With our state of the art thermal imaging camera, we can offer radiometric thermal imagery. 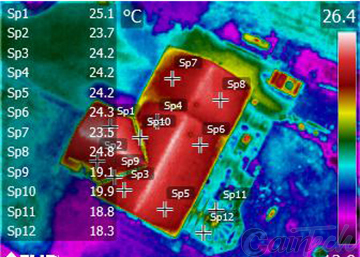 Quickly spot heat loss from a building, highlight damp areas in roofs and show defects in solar panels, are just a few areas in which thermal imaging can be used. Images captured are radiometric which allows us to take temperatures from the image and create reports of hot spots, cold spots and minimum, maximum temperatures.